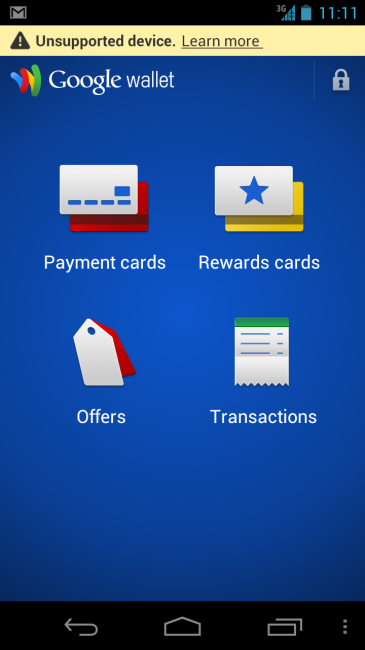 Over the weekend, your Google Wallet app probably started showing a little yellow bar at the top along with an “Unsupported device” note. If you tap on the “Learn more” link next to it, you are directed to the page we have included on the right which talks about rooted devices and how Google may be unable to support them because of security issues that they cannot control thanks to “unauthorized” software. This move shouldn’t surprise anyone, especially after Wallet took a beating from the media over a “vulnerability” that was discovered if a user had rooted their phone. The easiest move for Google in this situation is simply to call those devices “unsupported” and then not have to worry about them. While we would have wished they did not go this route, the rooting and ROM communities are too vast for them to even attempt to support them, especially when it comes to something as tricky as secure mobile payments. And remember, they already took a stance like this with their movie service. 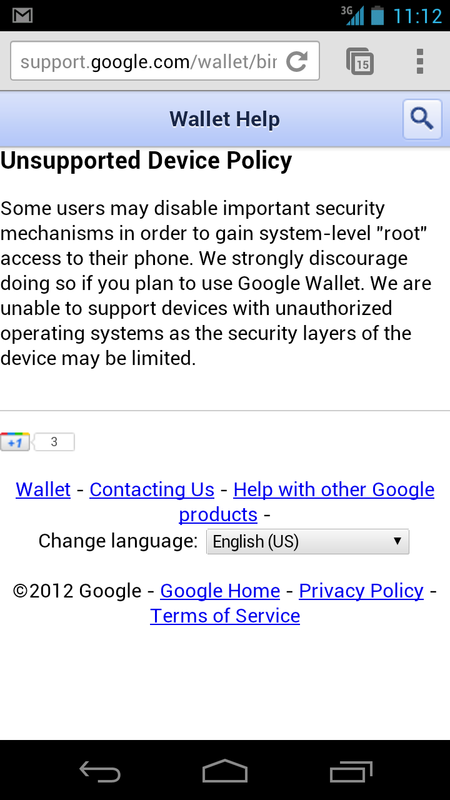 What we haven’t been able to figure out yet is whether or not this message has killed use of Wallet completely or if this is Google’s way of saying, “We aren’t supporting your device since you rooted, so if someone steals your money, it’s not our fault. You can still make transactions though.” I can still login to my Wallet app and see my funds showing as available on my prepaid card. Let us know your status. Have you been able to make payments using Wallet with this notice? Cheers @droseum20, Sean, Jigga_Z, Craig, Eddie and Adam!